We Offer Competitive Rates & Fees. The above schedule, both costs and fees, apply only to routine residential actions. Complicated residential cases, commercial cases, or other litigation are not subject to this schedule. This firm reserves the right to assess additional charges, including the above hourly rates, when necessary. The court and Sheriff’s divisions vary in efficiency of processing paperwork and their handling of documents is out of our control. 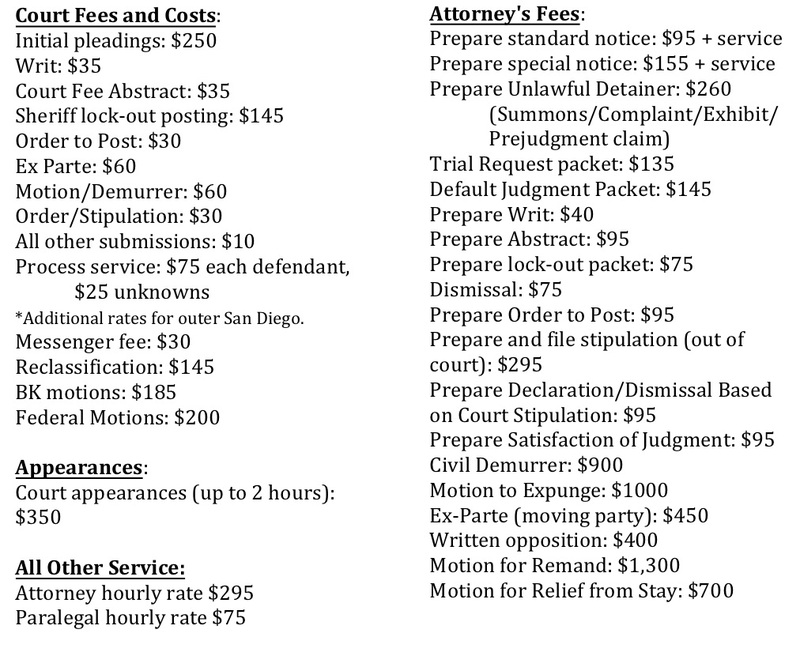 Questions On Attorney Fees ?